I was invited by Omer Durmaz to participate in this great exhibition titled as “Speak to the Eyes: Visualizing information from the Ottoman era to the Republic”. 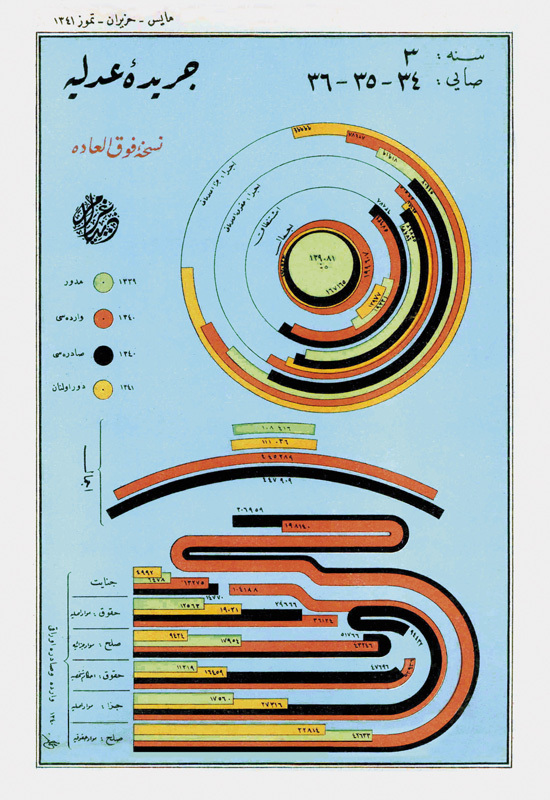 While the exhibition itself showcased and analyzed many examples of information design pieces from a wide timeline, a number of designers were invited – including me – to reanimate legal magazine covers from Ottoman Era with a twist. 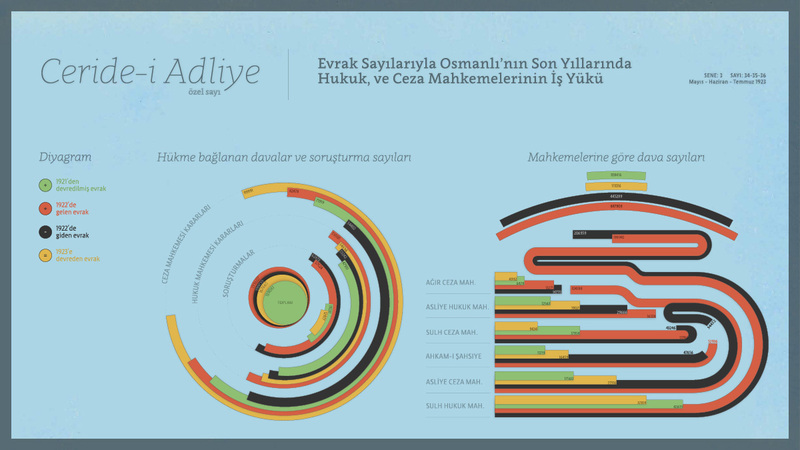 My piece – an infographic motion – was about the workload of legal institutions in the last years of Ottoman Empire. The end section is a commentary about how to improve used methods in the cover.